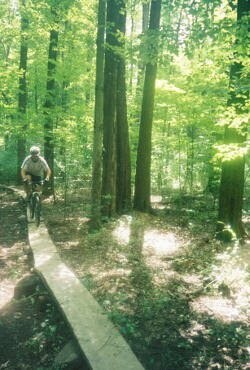 The Cuyahoga Valley National Park has released a draft of its new Trail Management Plan, with several options for whether and/or how to expand the trail system within the park. Out of six options outlined in the plan, three of them (options 4, 5, and 6) include mountain bike trails. You can download and read the entire plan by clicking here. The location of all three meetings is the Happy Days Visitor Center on State Route 303 in Peninsula (about a mile off of State Route 8).